There is no doubt that iconic cultural buildings contribute greatly to a region’s economy. Obviously the best example is Frank Gehry’s Guggenheim Museum, without doubt the main attraction of Bilbao, that has reversed the economic fortunes of the once struggling city to become a thriving tourist destination. 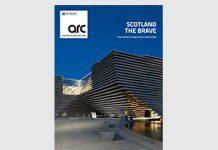 In this issue we cover some more stunning cultural buildings that hope to reach iconic status and so put their cities on the map. Hamburg, Dubai, Córdoba and Évry all hope to benefit from the stunning new cultural centres that have been created in their cities. Of course, lighting design plays a huge part in the success of these buildings and we have covered the lighting schemes comprehensively in this issue. We hope you enjoy. 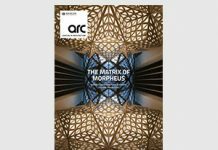 I am delighted to announce that, following the end of the voting period for darc awards / decorative, entries are now being accepted for the 2017 darc awards / architectural. 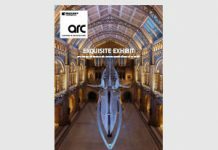 The response to the awards programmes has been overwhelming with well over 500 entries across both the decorative and architectural categories. darc night / decorative, the awards event, will take place at Bloomsbury Ballroom in London on May 18th, with darc night / architectural at MC Motors in London on September 14th. This will be quickly followed by darc room at Victoria House in central London where we will be showing some of the darc night / architectural installations as well as lots of architectural lighting exhibitors (those confirmed so far include LED Linear, Linea Light, Reggiani, Soraa, Xicato, Filix, Lumenpulse, Astro, DARK, Enigma and Radiant Lighting).